The Resources module allows you to easily manage and book resources such as meeting rooms, projectors, vehicles and many other objects that belong to your organization. Depending on the authorization, your employees can check availability or book resources directly online. The resource manager will be notified by e-mail whenever a new booking is made. 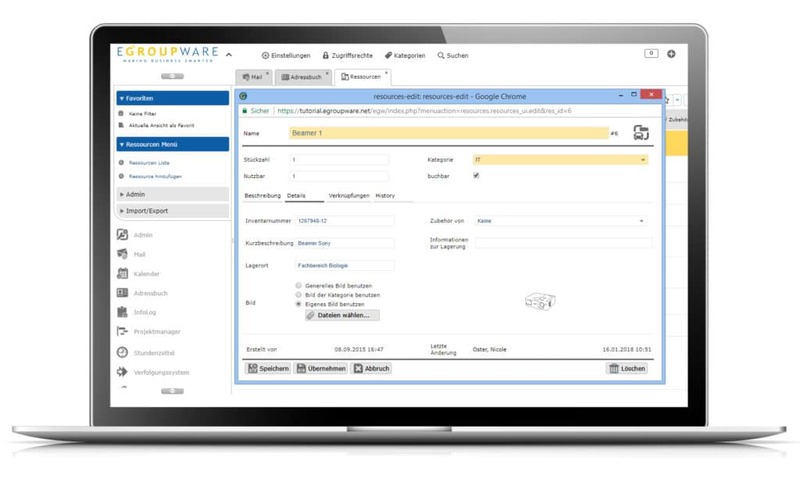 The resource management is directly integrated in the EGroupware calendar. 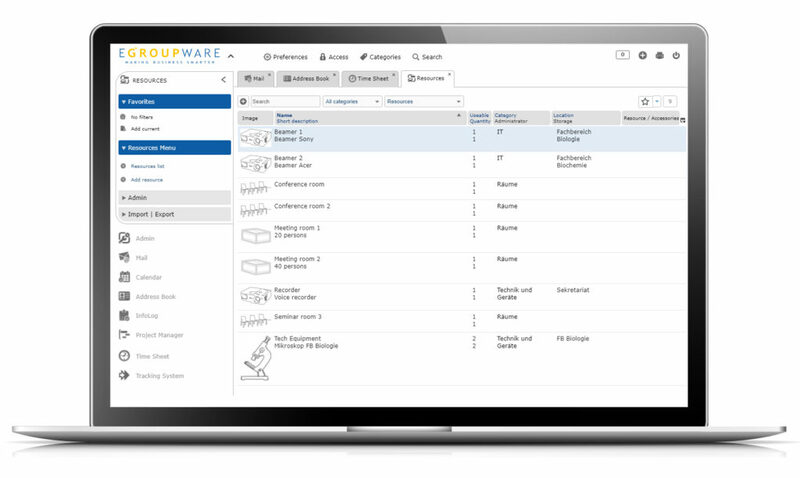 There are several ways to create resources in EGroupware. On the one hand, you can import a list of available resources as a. CSV file or you can create the corresponding resources directly in the user interface. For a better overview, you can divide your resources into different categories. A meaningful picture makes booking easier for your users. You determine who is granted access to the resources using the various categories of resource management. You can assign different rights to the booking of meeting rooms than when you post simple tools. A clearly arranged list incl. search function simplifies the selection of the respective resources. You can also create different accessories for a resource, such as a cable or a bag, and then book them directly with the main resource. By assigning inventory numbers, you make it easier to allocate and find objects. When is a desired resource available? In the calendar view, you can display different resources among each other. Several visualizations are available for the view, such as monthly, weekly or category view. Save frequently used views as favorites. Thus, these search results are easily retrievable and available again. Are your employees often on the road for customers? 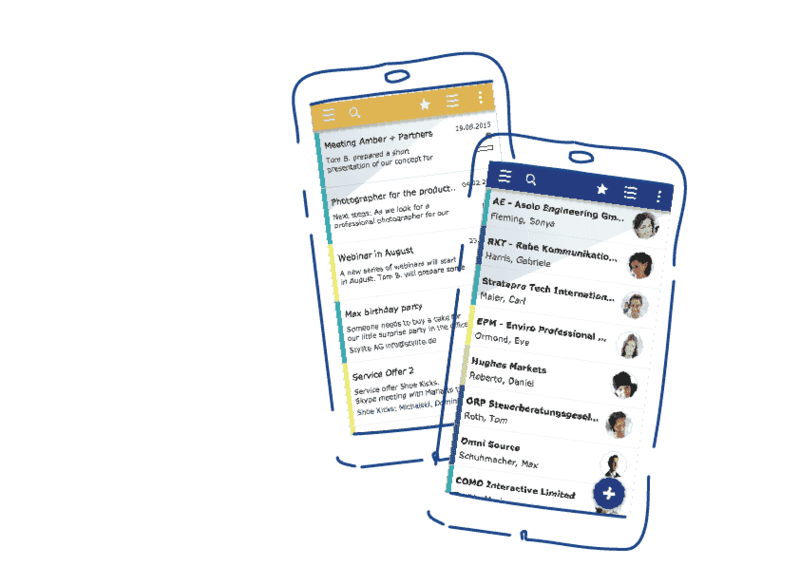 With the mobile view of the EGroupware, the possibilities of calendar and resource planning are also available to you on a mobile basis. With your smartphone or tablet, you book your resources and check availability. The online check and booking is only available to you if you have an existing internet connection. 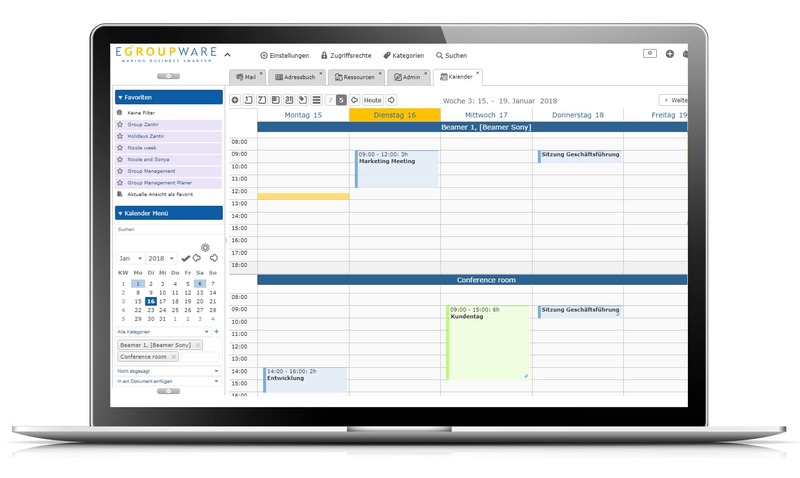 With the Resources modul of EGroupware you offer your team a shedule planing tool. 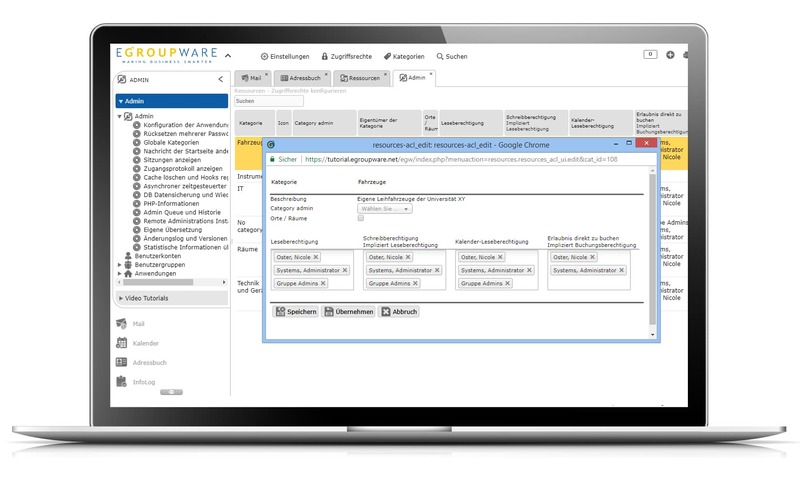 Try EGroupware’s Resources, group calendar and project management modules now for free!